The Hollon B-Rated Depository Safe with Inner Locking Compartment is a versatile storage unit a total capacity of 3.6 cubic feet. It includes an inner locking box that is secured by a key lock and removable and adjustable interior shelf. 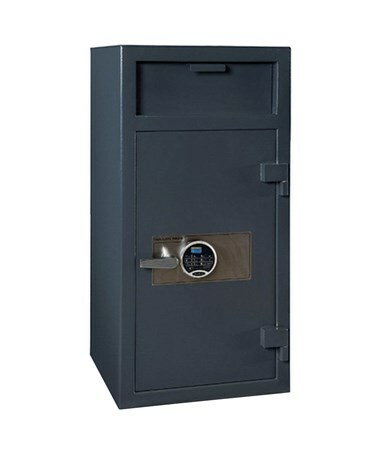 The door has seven 1.25-inch solid steel bolts and can be secured with the UL listed lock, while a heavy-duty dead bar on the hinge side prevents removal of the door. The front-loading deposit door is also protected by a guard plate that acts as an anti-fish baffle. 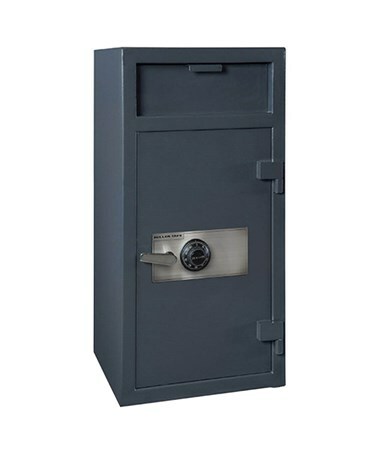 This 40-inch high and 20-inch wide safe also includes security features like a spring-loaded relocking device that permanently engages the bolts if the lock is damaged. Also featured is a drill and bullet resistant hard plate that protects the lock and re-locker from cutting and drilling attacks. 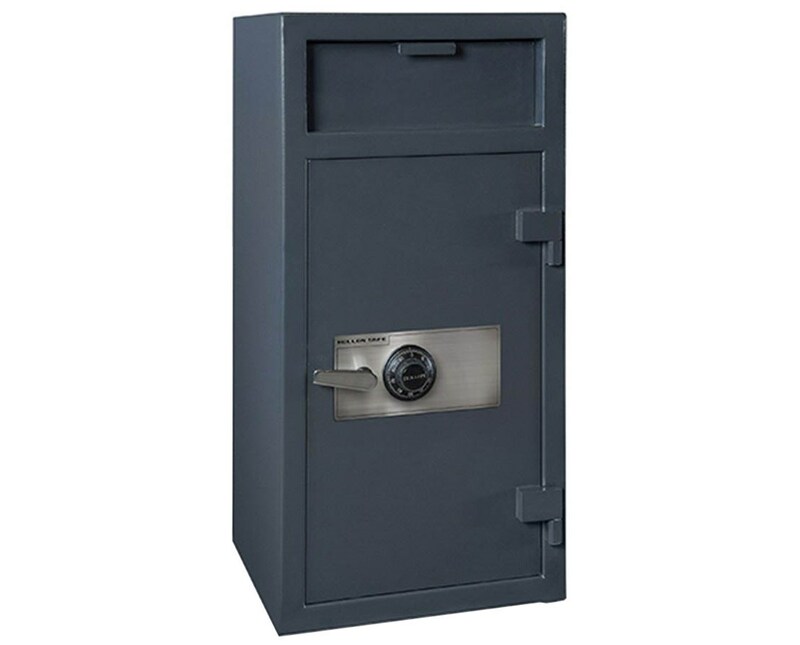 This Hollon B-rated depository safe’s door is made of ½-inch thick steel plate, while its body is a ¼-inch thick steel plate. The unit has a durable powder coat finish and is backed by a one-year limited parts and labor warranty and a two-year limited replacement part warranty. The Hollon B-Rated Depository Safe with Inner Locking Compartment is available with different UL listed locks. Please select your preference from the drop-down menu above.